I thought we’d be over hubs by now, but I was wrong. They are still coming hot and heavy, and if the Consumer Electronics Show was any indication, there are still more heading our way. So instead of doing deep dives into what I think is a pretty full market, I figured I’d start doing some roundups of products and hit on the features that make them interesting, because honestly, who can keep up anymore? Today’s batch are the hubs found on crowdfunding sites. They have some cool tweaks that make them a bit different, but of course, as with all crowdfunding efforts, who knows when they will actually deliver. Of all of these Hive looks to be the most likely one I’d back, and Oomi is the only one I’ve seen in person. Let’s get to it. 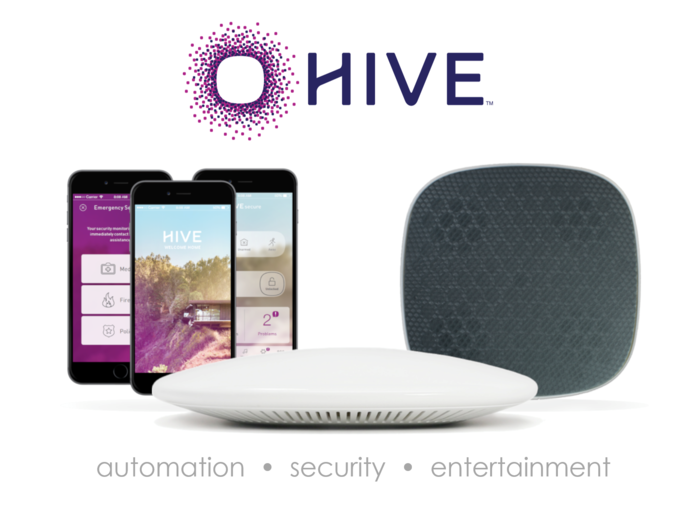 Hive: This system combines a hub and speaker (or series of speakers) with an app that lets you control the whole shebang. The Kickstarter promises that the hub not only controls the speakers but also your connected gadgets via an impressive array of radios, including Z-wave, ZigBee, Bluetooth and Wi-Fi. The video shows a Nest, motion sensors and other devices working with the hub. The speakers not only tie in to become “the voice of your home,” but also act as a sound system that can be linked to play the same music all over your house or separate music from sites that appear to be supported by Google’s Chromecast ready program. The campaign shows the Spotify logo but makes no mention of it elsewhere. A backup battery and integrated 3G modem mean you have backup connectivity if your power goes out. The app will be available for Android and iOS and everything is expected to ship in May. The retail price is expected to be $299 for the hub and $199 for each speaker, although the Kickstarter prices are cheaper. Those waiting for retail might get a discount if they buy optional security monitoring packages along with their purchase. This is certainly something I’m going to look for later this summer, although the Kickstarter is not doing well so far. Oomi: I ran into these guys at CES and thought they had a unique way of using NFC radios to get devices to connect to the system. Basically, you tap to touch a device to onboard a sensor to the main hub. It’s fun, but it only works with the Oomi products and any NFC-enabled phones. Still, even technophobes could use this and get started with a smart home. The main component is a stylish black cube that includes a lot of sensors, a microphone, a speaker and a video camera. It acts a security and communication device and has an IR sensor for controlling televisions and a variety home automation and media devices. The system also comes with a connected outlet and a tablet to control the whole system. In keeping with the simple idea, Oomi is a learning system and once you connect your devices to it, it starts learning how you use your home and then starts building up its own rules and schedules for users. The folks behind Oomi already plan to launch a colorful light bulb, an air quality monitor and a Chromecast-like media streaming stick for the system. It also supports other Z-wave devices and says it integrates with other popular devices such as Sonos, Hue lights and Nest. Retail cost should be about $450 for a cube, a plug and the tablet, but it costs as low as $230 on Indiegogo with delivery in August and an adaptive intelligence engine released in November 2015(presumably after it is trained on early user data). 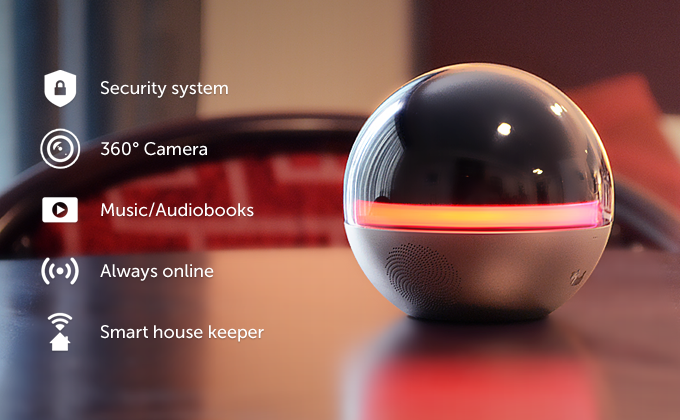 I like this, but the integrated camera kind of freaks me out because it could monitor my home. I did see that it offers a shutter for the camera for folks like me. Branto: This is a glowing orb that plays music and changes color. It certainly offers less functionality than Oomi or Hive, but sometimes simpler is better. What sets Branto apart from almost anything out there is that it contains a 360-degree rotating camera that you control from an app. Plus, it has two microphones. So you can see your whole home or teleconference and look around the table. The smart home elements come in because Branto also has a motion sensor, IR output, connected speaker capability that connected to various services and the ability to control popular home automation devices like WeMo, Nest and Philips Hue lights. The Kickstarter campaign notes that Branto will offer various options such as ZigBee, Wi-Fi, Bluetooth and cellular modules down the line. The Branto will retail for about $500, although the Kickstarter prices are less than that, and it will ship to backers in September.